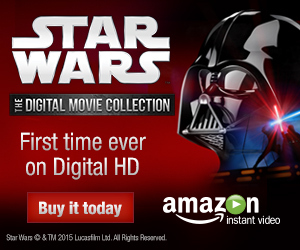 It's the first-ever Collected Editions Co-Review! In a co-review, another reviewer and I read the same book and the "review" is our discussion about it. Today, Collected Editions contributor Doug Glassman ('80s Marvel Rocks!) joins me for a look at Francesco Francavilla's new Dark Horse collection, Black Beetle Vol. 1: No Way Out. Collected Editions: This may be besides the point, but one of the first things that struck me in reading Black Beetle Vol. 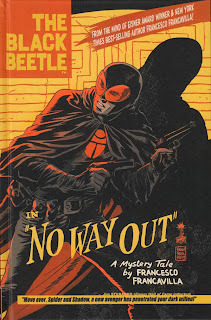 1: No Way Out, as alluded to in Darwyn Cooke's introduction, is that after the first and second chapters (issues #0 and #1), we don't know the Black Beetle's identity. I struggled to think of another example of this in modern comicsdom, where the audience doesn't know the basic facts of the main protagonist's life early on, and I couldn't come up with any examples; heck, the New 52 even gave the Phantom Stranger an identity straightaway. Probably Francesco Francavilla is hearkening here to radio dramas like The Shadow, where the "hero" was more a force of nature than a character with his own identity. Far from making me feel detached from the Beetle, however, I think Francavilla achieves characterization in other ways, especially in the second chapter. Francavilla narrates from the Beetle's head, which helps to bridge the distance; also it opens with what would be a typical night for the Beetle, taking down two mob bosses, until an explosion kills them both and almost the Beetle along with them. The character's surprise and fallibility -- he expected one thing to happen, and then another did -- brings the reader close to him, and there's another of these reversals later in the chapter that reinforces this sense. We don't "know" the Beetle, but at the same time the Beetle and the reader are on the same page in terms of understanding what's happening in the story. Doug Glassman: One interesting facet of The Black Beetle is that it doesn’t tell an origin story ... mostly because it doesn’t need to. The title is so steeped in noir and pulp tropes that the title character can just do his thing without having to pause to set up who he is. It’s the 1940s and he’s a guy in a cape and mask fighting Nazis and gangsters; what more do you need? Francavilla provides hints of a backstory along the way. The Beetle is smart enough to re-engineer a Nazi rotor pack to his own specifications, savvy enough to load himself out with gadgets for the situation at hand, advanced enough to have a CCTV camera system running in the 1940s and rich enough to fund all of this. Finding out the hows and whys might end up distracting from the story. The Black Beetle’s gun is named “Kara Böcek”, and this, combined with his struggle against the Nazis, point to an Eastern European origin. I keep mentioning the Nazis because of the plots Francavilla introduces, the simmering Nazi/supernatural angle is the most interesting. I can understand why he wanted to keep it in the background as a central myth arc, promoting the mafia angle to the forefront instead. Labyrinto is an intriguing supervillain and foil for the Black Beetle and I really enjoyed how his backstory is portrayed using a puzzle-piece motif. The big drawback with this plotline is how generic the gangsters seemed. Since much of the conflict centers around one mob family, many people have similar names, which can make the plot even more confusing. CE: Agreed; also adding to this confusion is that one of the key mobsters, Joe Fierro, is also known as Faccia D'Angelo, and Black Beetle switches back and forth between how he refers to him, which had me flipping back to the beginning to make sure I understood who was who. I liked Labyrinto as a villain and I enjoyed the book overall, but the least effective part for me was this mob mystery; Labyrinto's identity was pretty clear from the beginning and so the book was a visual exercise for me more than a mental one. Reading Black Beetle left me with a strong craving for Sandman Mystery Theatre, if not a Batman: Long Halloween re-read. I take your point about Francavilla not telling an origin story and I agree it's not necessary; also I know you and I are each somewhat sick of origin stories, so it's a nice change that Francavilla gets right to it, as it were. Maybe I'd have preferred that Francavilla didn't hint at the Beetle's origins at all, but just left it all for another story; that bit where the Beetle plugs the lizard amulet into some strange machine perhaps had me poring over little clues buried in the panels more than I otherwise would have if the Beetle's origins had just been left alone. Of course, I hope for more than just archeologist-turned-crimefighter when all is said and done. Francavilla does impress, art and storytelling-wise, a number of times. The two-page spread of that explosion at the mob meet-up really caught me off-guard, and it's gorgeously well-depicted. I also liked the sequence a few pages earlier where Francavilla shows us the club through the Beetle's goggles, and we get the sense that Beetle is looking down by three successive stacked goggle-views, but the scene they reveal is continuous through the three panels; it put me in mind of Will Eisner's Spirit work. Also in the third part of "No Way Out," before the big fight scene even, I liked Francavilla's cross-cut panels where the figures open and shift around one another. DG: For me, this is a book where the plot is more or less secondary to the art, which is absolutely spectacular. Francavilla is an artist who literally does everything (apart from the great lettering by Nate Piekos) and the creative freedom offered by The Black Beetle allows him to go all-out. Much like his work on Hawkeye, this is a book defined by its color palette, in this case the reds and oranges as spotlighted on the trade cover. These are mixed with purple-black shadows to create the proper pulpy mood. Almost no scenes take place in the daylight; to take advantage of this fact, the series is printed on darker paper to amplify the effect. Francavilla likes to play around with interesting panel designs, such as a diagonally-oriented page for when the Black Beetle climbs a building. That page in particular feels like Francavilla issued himself a challenge: could he draw the infamous "climbing conversation" scenes from the 1960s Batman television series and make them work? It's a gamble that paid off. Dark Horse provided a lot of value for the price for this hardcover. Francavilla's design sketches and in-process artwork are joined by lobby cards, posters and other promotional extras, the kinds of things that otherwise get lost to time whenever the convention they're used at is over. It would be neat if Black Beetle could get folded into Project Black Sky, Dark Horse's new superhero line which may or may not be a resurrection of Comics' Greatest World. If nothing else, we need Francavilla to team up with Mike Mignola and John Arcudi for a Black Beetle/Lobster Johnson crossover. CE: It's a bit early for me to feel protective of Black Beetle, but I think I'd be wary of him joining a "universe" -- surely at the point the Beetle begins interacting regularly with other heroes, that will beg an origin, right? The extras here are definitely dynamite; I appreciated that this wasn't "just" sketches, but rather it also included commentary from Francavilla. This made the Black Beetle: No Way Out book feel less like a collection of issues to me and more like a "director's cut"-type release. Thanks Doug! Coming up tomorrow, my review of Brian Azzarello's Wonder Woman Vol. 4: War. Great new feature C.E. Thank you to yourself and Doug for the insight. I think one of the joys of collecting comics is being able to talk with others who also enjoy the medium about the various characters, stories etc and this feature captures that perfectly. I hope we see more of it in the future! Thanks, Nikos. This is something I've enjoyed on other sites and wanted to do for a long time. Hard to scheduleit, though, since it means I have to read an extra book a week, but I hope to do another one soon. Shadowhawk comes to mind as a modern comic where the protagonist's true identity is obscured for the reader. I think it was revealed in the second series (Shadowhawk II #2 or #3 maybe) with the ubiquitous gimmick cover. Interesting new review format with co-reviews. Wouldn't it be great if podcasts could be automatically transcribed and published as co-reviews? The key difference for me is that Shadowhawk kept taking so much time to put in fake clues and red herrings that "guess who he really is!" became a gimmick. Black Beetle runs a lot more smoothly; his true identity doesn't even really matter in context with the story. There's also a classic Marvel case where this was attempted but utterly failed. For a while, an armored villain called F.A.C.A.D.E. showed up and was hinted to secretly be a member of Spidey's supporting cast. He was actually... never given a real identity and no one's ever seen him since the mid-90s. They even teased at it during an excellent villain profiles one-shot for "Dark Reign" only to cut it off before the reveal.